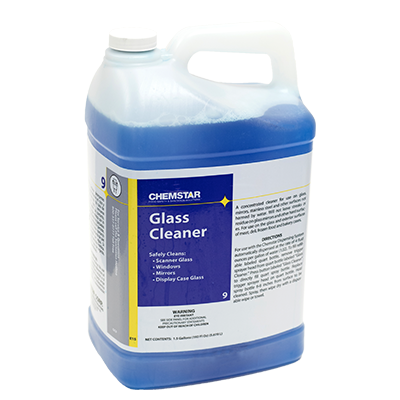 This concentrated glass cleaner is a non-ammoniated cleaner that is dispensed into refillable quart bottles through the Chemstar dispensing system. 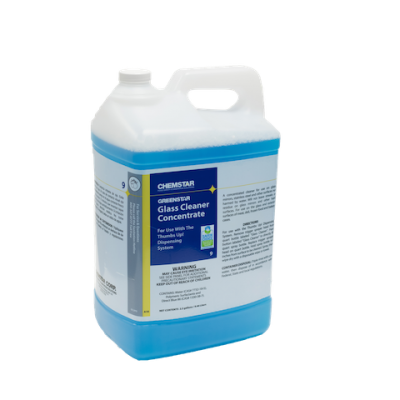 Regulated mixing makes this an affordable, high quality glass cleaner to use for cleaning all glass surfaces. 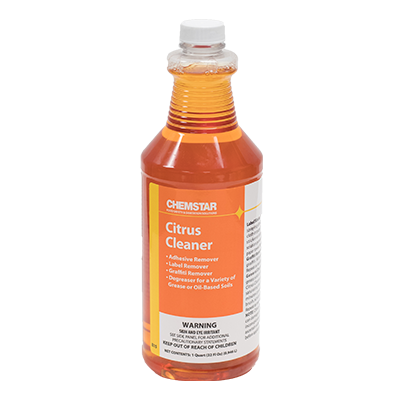 Specially engineered for retail food and foodservice environments, this easy to‐use cleaner is both affordable and effective. Use on shelving, table tops, counters and surfaces not harmed by water. Reusable quart bottle reduces solid waste. Kosher certified. 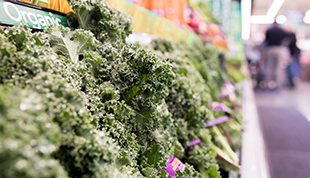 Specially engineered for retail food and foodservice environments. 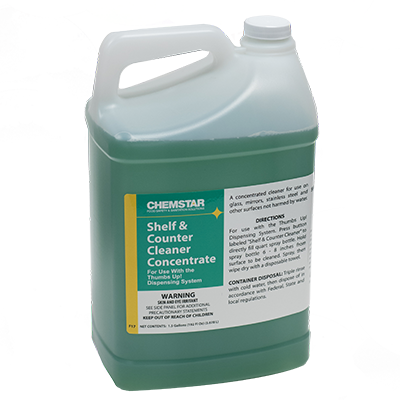 Use on shelving, table tops, counters and surfaces not harmed by water. Reusable quart bottle reduces solid waste. 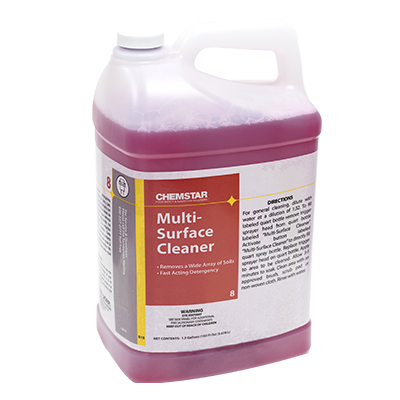 Specially engineered for retail food and foodservice environments, this easy to-use cleaner is both affordable and effective. 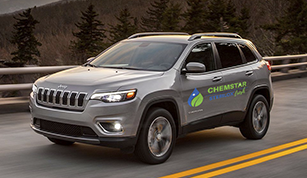 Use on shelving, table tops, counters and surfaces not harmed by water. Reusable quart bottle reduces solid waste. Kosher certified.